#tones is a social media driven audio experience. 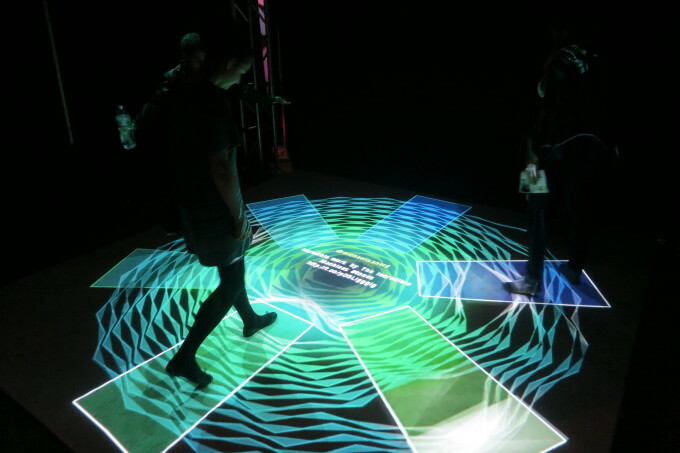 It’s an interactive dance floor created by custom floor tracking software. 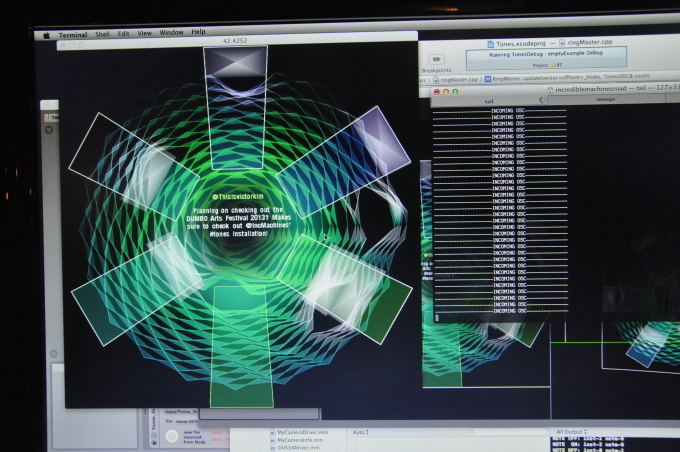 The stage illuminated by a projected interactive skin which serves as a guide to the various audio controls. 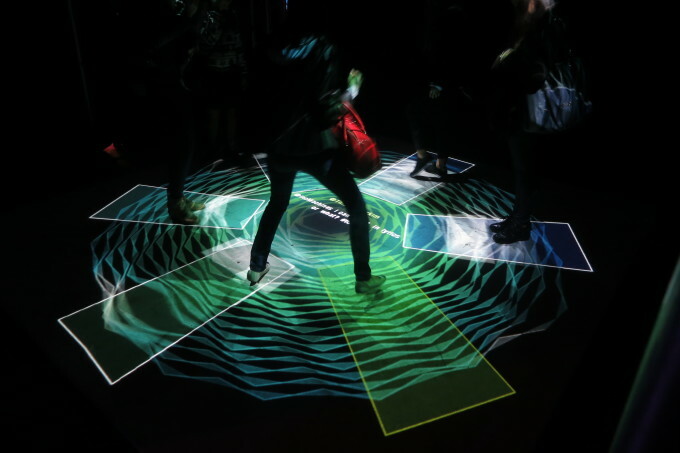 As people move around the space they trigger notes, beats and rhythms. As participants dance together instruments coordinate and create unique audio jam session. Users who wish to contribute to the vocals can tweet at specific hashtags & user handles to have their messages auto tuned and sung out. See an early implimentation of #tones here.